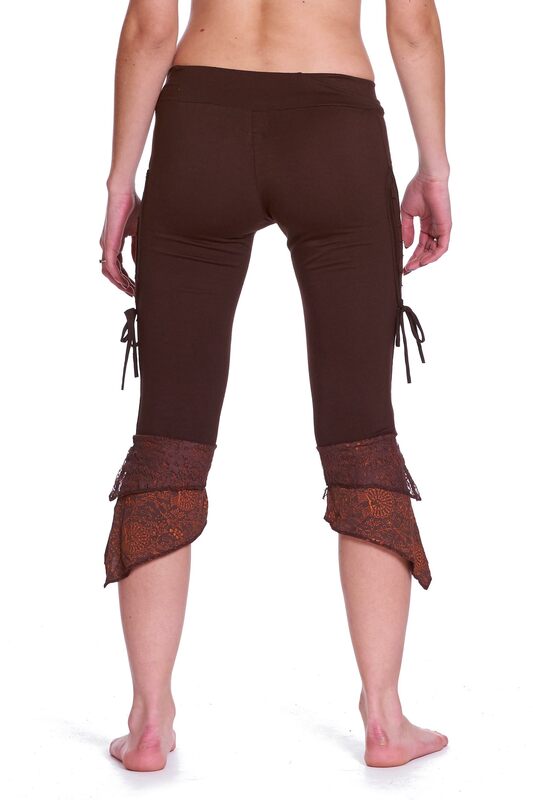 Great leggings for any psy trance, pixie, steampunk or festival outfit. Elasticated waistband and cropped design with a layer of lace and a layer of printed cotton on the pointed hem. Pretty leaf design on leg.